So I figured I should post it here, and hope it helps you guys :) I will only show the 4 nails, that you see in the pic, but you get the idea. I then put on a coat of SV, and let that dry. 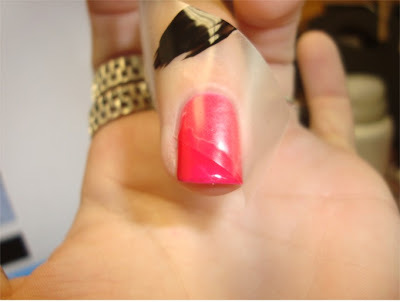 Then I taped off my pinky, like so. I didn't get pics of the BFF being painted on the rest, because I figured you had the idea by then. but when your done............you get this! Oh and if you notice the final step in painting the BFF on my ring finger, I had the tape in the wrong place, but I fixed it, and didn't get a pic. Wow, I looove this! Definitely got to try this! Aww, well thanks!! and welcome!!! Hey cilucia!! Haha, well I haven't had it too long, and plus that whole, thou shall not speaketh of their blog rule on MUA, lol! Well YAY for being the 100th!!! Thanks! Thanks! I use it in soooo many of my manis! This is probably a silly question, but what is SV? Not silly at all, SV stands for Seche Vite, it's a fast drying top coat, that can be found at almost all drugstores, Wal-marts and Targets!! Thanks for this tutorial! I recently tried it for the first time and appreciated the step by step photos. KarenD, I'm so glad this was helpful!!! shortwidenails, Well it was for Spirit Day, but not for a school, it was for teens who have commited suicide due to being bullied :( I'm glad you found it on here though!!! Wow great tutorial! Im so trying this right now! Thanks Shadow! Oh please let me know how it goes! Oh yay, I'm going to go check it out now! these nails are awesome! you're so creative. i'm definitely trying this one right now, haha. SV is Seche Vite, its a fast dry top coat!! BFF is the name of the polish from China Glaze, I LOVE it!! Kaitlyn, I use SV, Seche Vite. It's my go to top coat!! 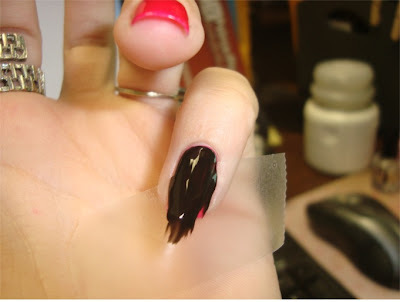 You take the tape off right after you apply the next coat?? 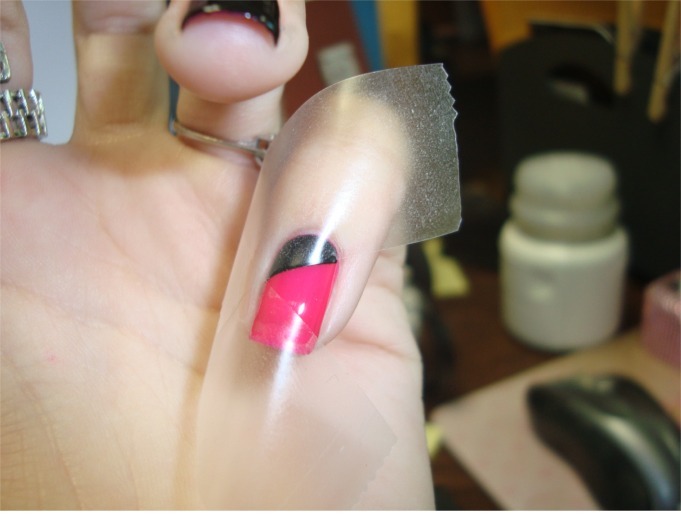 When i take the tape off it looks messy :( i cant get that straight line. Just tried and I'm so happy with the result ! Thank you so much ! oh YAY, and you're of course welcome! Really amazing ! Loving it !!! Whath is your top coat's brand, and your fisher's if you have one..? From south of France !!! LOOOVE THIS! 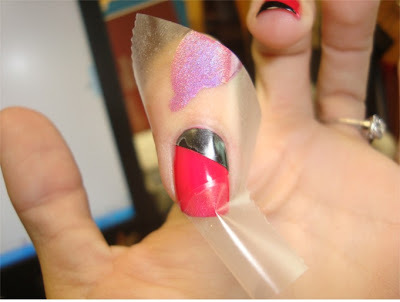 I'm totally gonna try this out when I'm bored with my current mani, also I read your nail care and was wondering what kind of Biotin do you take? hi Erika! 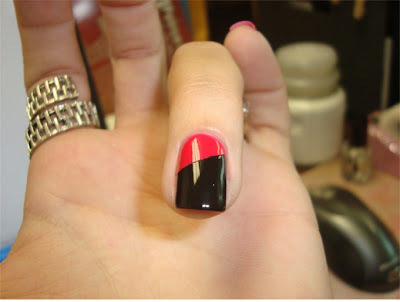 Love your nail designs! 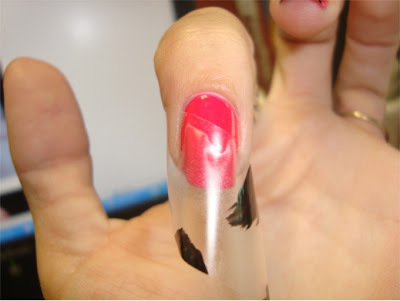 I was wondering how long you usually wait for your nails to dry before taping them off? I'm always afraid the tape is going to ruin my base coat, so I wait hours before using the tape... but this makes my manis take all day! Any tips? Thanks! OMG! That's just beautiful! love it! 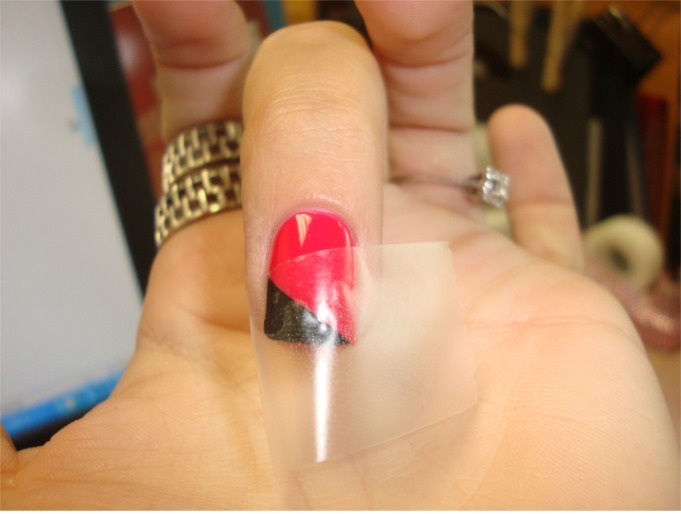 I'm so amazed by this haha your nails look amazing. 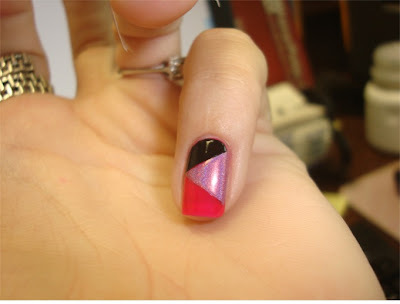 I'm so jealous of your talent :) I will def have to try this! That looks awesome! I am going to try it. I just did this with 4 colors. That took forever!!! Next time I'll stick to 3. Where did you get the ring on your pointer finger? I had no idea you remove the tape right after painting. 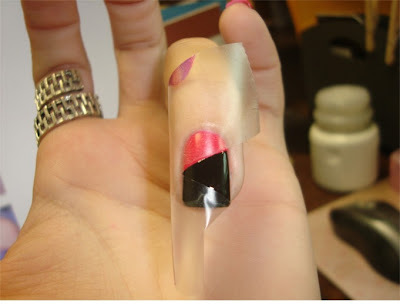 Before I came across this tutorial, I used to remove the tape after it was dry. That is why I could never get a smooth line. I will try again while it is wet! Estou seguindo seu blog aqui do Brasil. I did this with white as the base, black and turquoise since I don't have those pink colors. I have just recently discovered your blog. 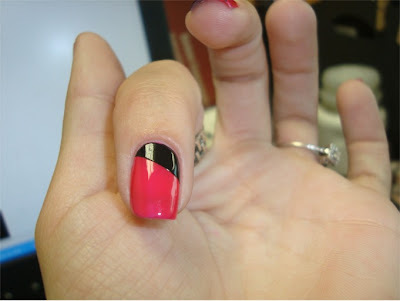 I just want you to know that I now have a new obsession with nail polish because your nails are the most perfect ever! i love your ideas! As an RN I realize how serious depression can be (I am currently on lexapro and wellbutrin). Please know that I believe no one here is mad at you. Feel better first and then I hope you will return! I never owned more than 2 polishes at at time before this blog. I now have 79 and a new rack hanging in my room! I have a konad and am getting better everyday thanks to you. 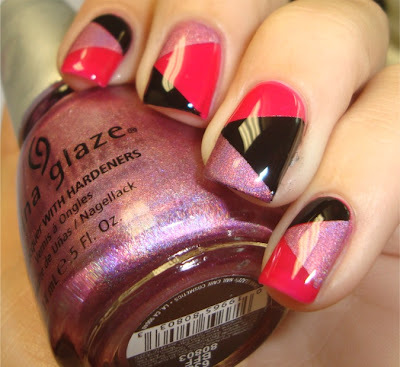 I have done so many of your manis. Feel better soon!!!! hugs!! Darn it! I did the ring finger wrong!!! amazing!!! ps. 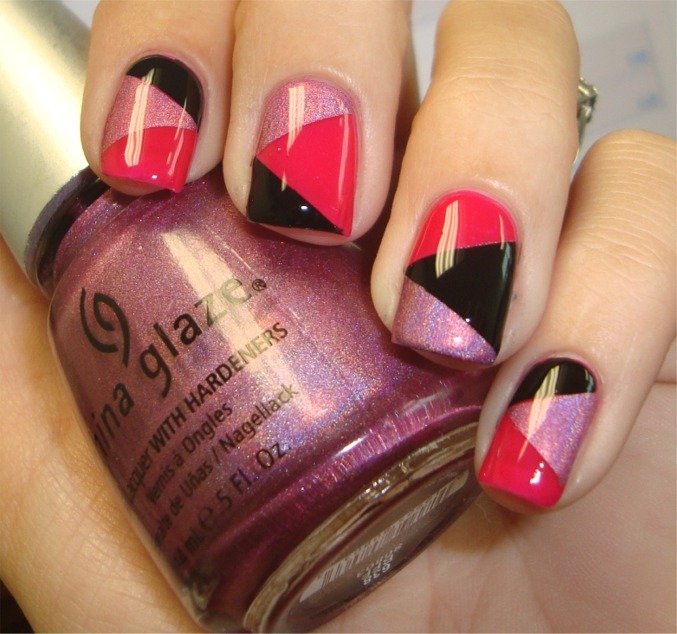 loooove the ring on your pointer finger! 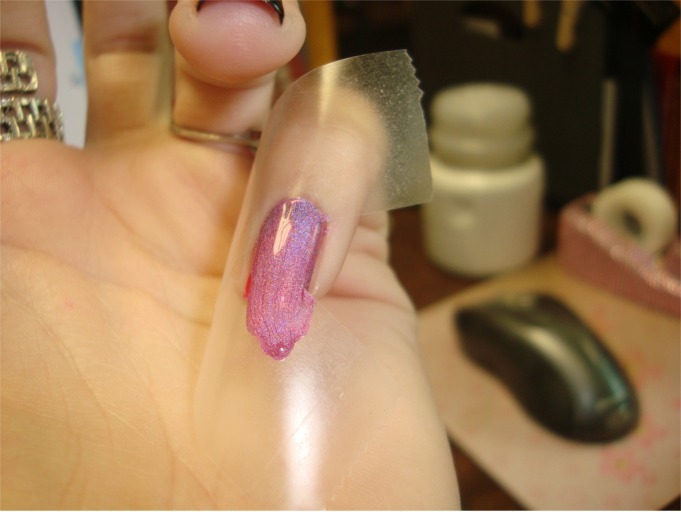 Have you ever had pour results due to cheap polish? My son (6 yrs old) gave me a bunch of cheap polish for Christmas but I'm afraid this isn't going to work well with Dollar Tree polish. Bella Thorne sent me here!! H O T ! ! ! did you do this in one day? 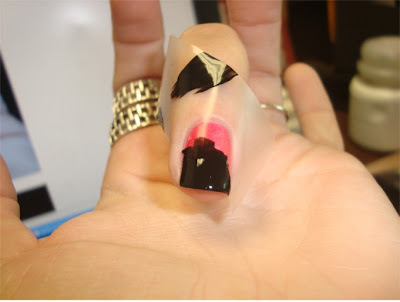 you must have waited hours between applying each tape to ensure it will completely dry? 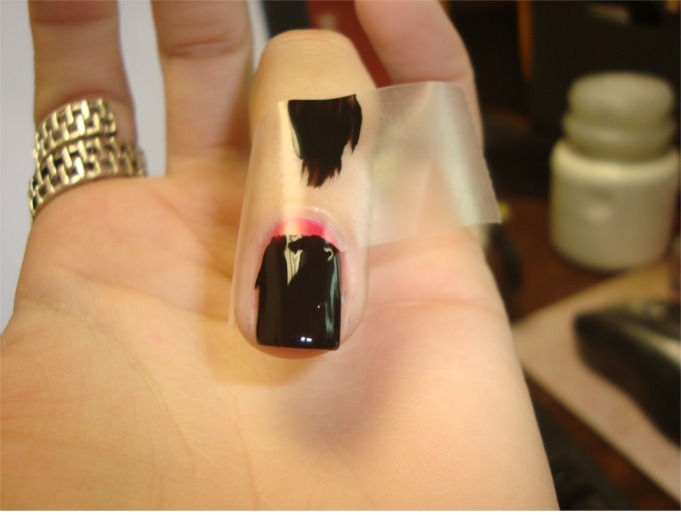 i would be scared it wouldnt be dried completely, causing the polish to stick to the tape when pulling it off. =( please help! 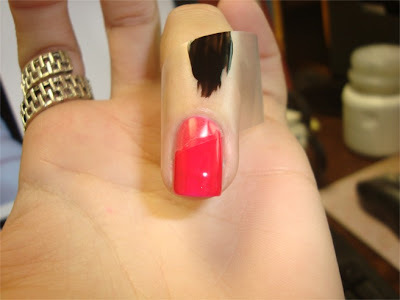 Going to try this...it looks really fun and not overly difficult! Thank you! I did this on my 2 year old today. Hehe. i love this thank you so much im a beginner all of the other tutorials on the internet were to hard. i was wondering about the thumb because you didn't mention anything for it. also can you please do a tutorial for a cheetah print mani. 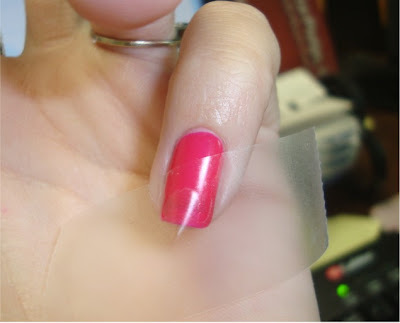 The trick of removing some of the stickiness for the tape is exceptional! 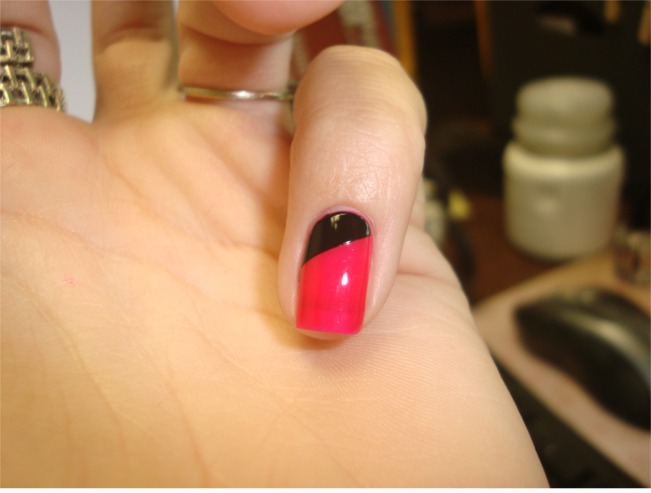 I had just about given up on color blocking, until I stumbled across your blog! Keep up the wonderful piece of work, I read few content on this site and I think that your website is really interesting and holds bands of good info. الكثير منا يحب التنقل كثيرا والتجديد من منزل الى اخر واذا كنت من تلك الشريحة حين ذاك ستحتاج الى شركة نقل عفش بالمدينة المنورة حيث تتمتع باسطول كبير مجهز لنفل الاثاث والاشياء الثمينة والاخرى القابلة للكسر فشركة نقل اثاث بالمدينة المنورة خير معين لك على تلك العملية الشاقة الا وهى نقل الاثاث . اعزائنا العملاء يسعدنا فى شركة جلى بلاط ورخام بالمدينة المنورة ان نقدم كل ما هو جديد فى عالم الخدمات المنزلية او فى المصانع او الشركات او المستشفيات ونحن نواكب عصرنا هذا من خلال التطورات التكنولوجية الحديثة ونسعى دائما نور المدينة افضل شركة جلى بلاط رخام بالمدينة المنورة ان نكون فى المقدمة والصدارة فى جميع انحاء المملكة العربية السعودية وليس بالمدينة المنورة فقط وهذا لن يتحقق الا من خلال الخبرة والمصداقية. Another Franken that I heart so much! OPI Catch Me in Your Net Funky French! A new franken!! Love & Beauty gets a makeover! What's cuter than tiny snowmen heads?????? Quit possibly, my new FAVE glitter!! !